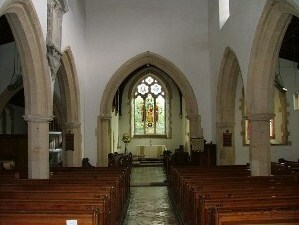 Although much of the church was restored in 1872 many early features remain. The tower, of about 1310, is surmounted by a battlemented parapet of extremely rare carved scenes added about 1500. The porch, once two storied, is 15th century. The south doorway is 14th century with a chancel arch of similar date. The large east window was designed in 1953. During 2008 £80,000 was spent on a major refurbishment and renovation. This included cast iron guttering and down pipes to replace plastic and interior lime washing. The paths and general work is often carried out by parties of parishioners. Christ’s College, Cambridge is the Lay Rector. On two occasions in the last ten years the College have given substantial grants for work on the chancel. 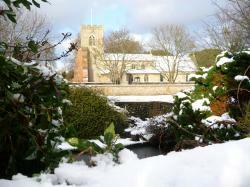 Fundraising events are held at, and around, the Burnham Market Craft Fair in August. Stalls are set up, usually in the church, and coffee, tea and light refreshments are sold from the churchyard. In 1995 a registered charity, The Friends of St. Mary’s Church, was set up to help with the building's upkeep and restoration, helped by membership subscriptions and donations, but chiefly through social events. At all fundraising activities the PCC is greatly helped by parishioners and many from the wider community. 2nd largest of the benefice churches. Significant potential as a community resource - especially when the obtrusive 19th century pews will be replaced with more appropriate furniture.